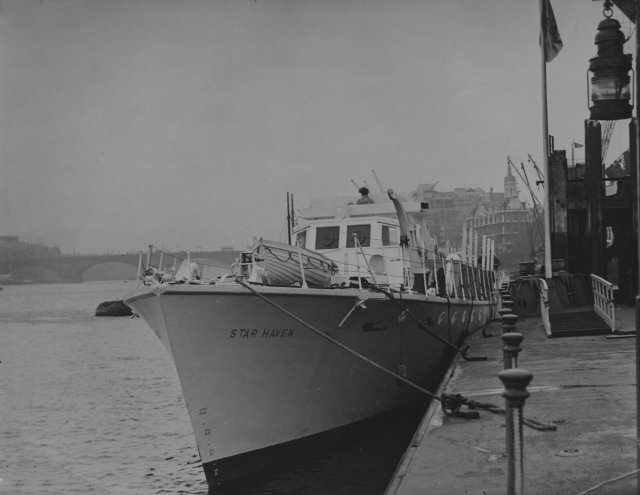 A collection of photographs of BSAA aircraft ... and a boat! 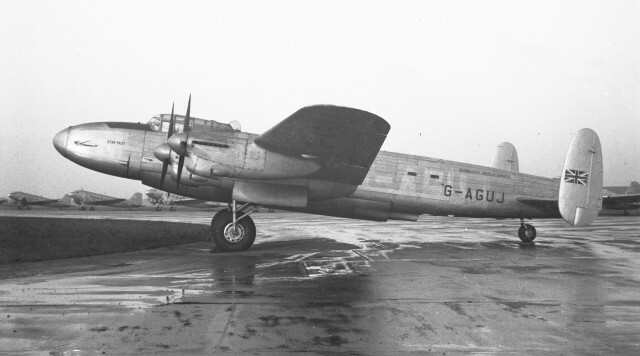 Avro Lancaster G-AGUJ Star Pilot. 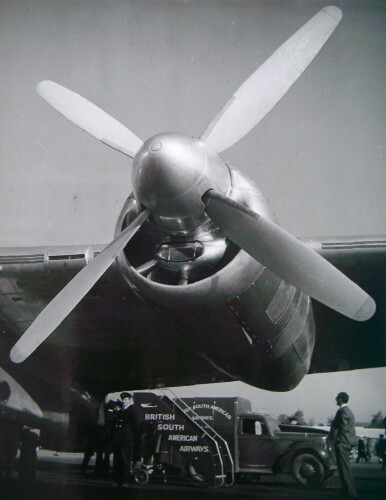 Notice the row of DC-3s in the background. 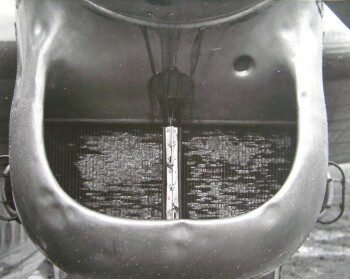 Contrast this shot with the one below of an identical Lancaster after a freight pannier had been fitted. Lancaster Star Ward taxying back to the hangar at Langley with the Airtech freight pannier after its one and only flight in that configuration. 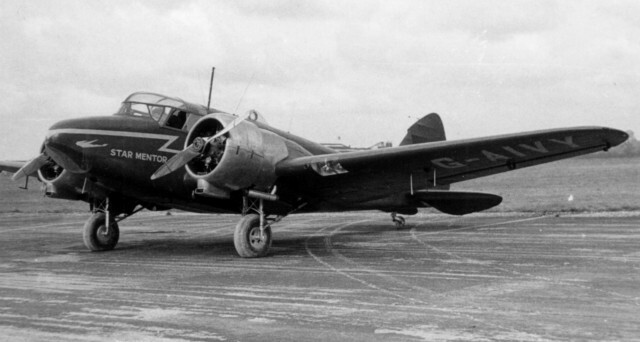 Airspeed Oxford G-AIVY Star Mentor. 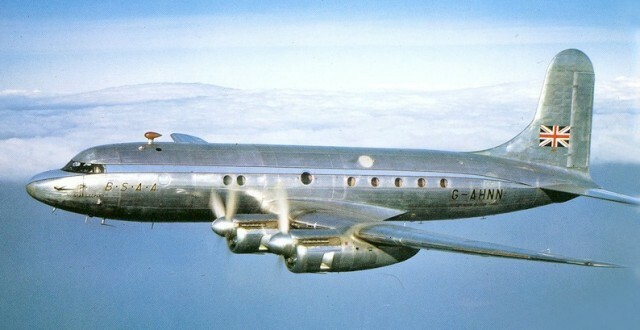 This aircraft ended its days in Cyprus in 1956. 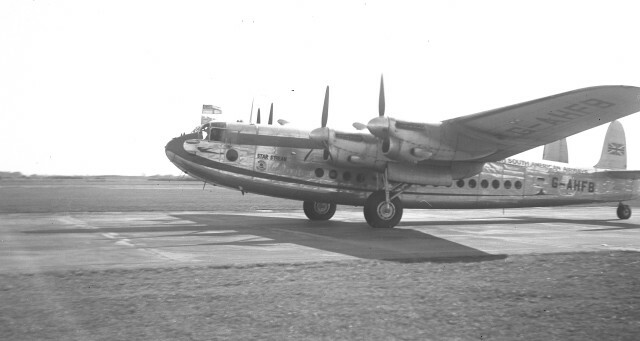 Avro Tudor I G-AGRG was loaned to BSAA in 1949 and named Star Cressida. 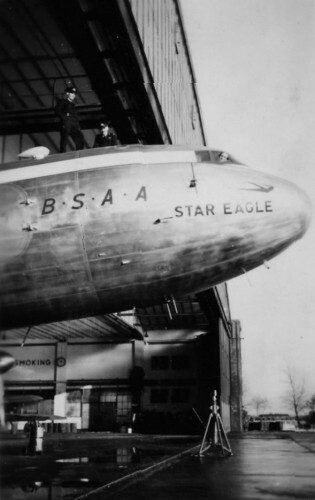 Avro Tudor 5 G-AKCD Star Eagle pokes its long nose out of the hangar at Langley. 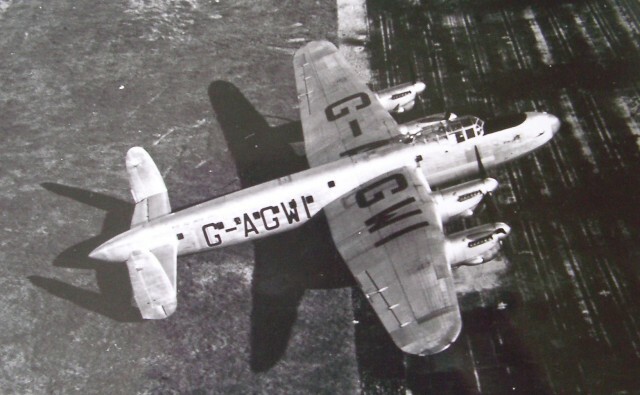 An unusual aerial photograph of Avro Lancastrian G-AGWI Star Land at the edge of the hardstanding at Langley. 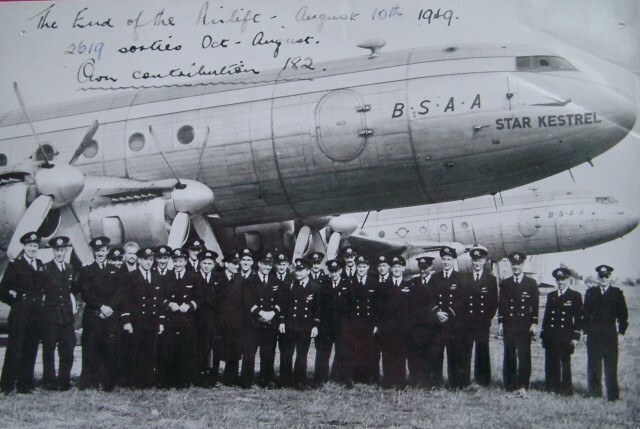 As annotated, a photo of BSAA crews in front of Tudor 5s Star Kestrel and Star Falcon to mark the end of BSAA's massive contribution to the Berlin Airlift. The actual Owner's Plate from the Tudor 5 G-AKBZ (Star Falcon). 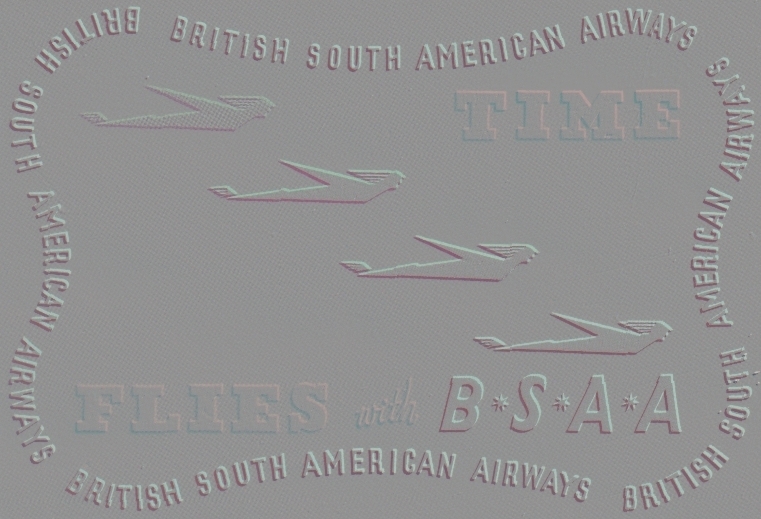 This aircraft was scrapped in 1959. Image courtesy of Terry Murphy. A beautiful Charles E. Brown shot of Avro Tudor IV G-AHNN Star Leopard above the clouds. 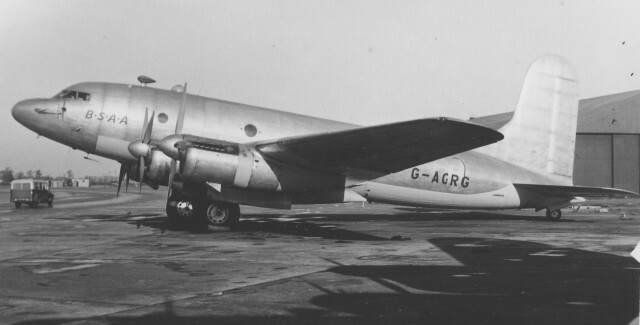 Avro York G-AHFE Star Vista. 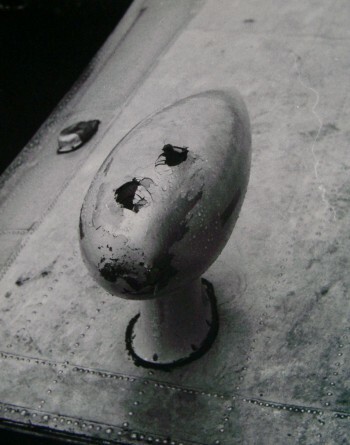 A striking photo of one of the Rolls-Royce Merlin engines of a Tudor IV. 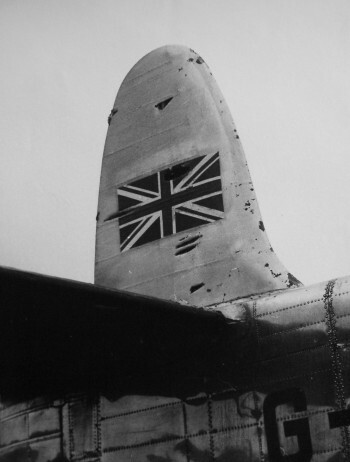 The damaging result of the encounter between Avro York Star Haze and a hailstorm in 1949! 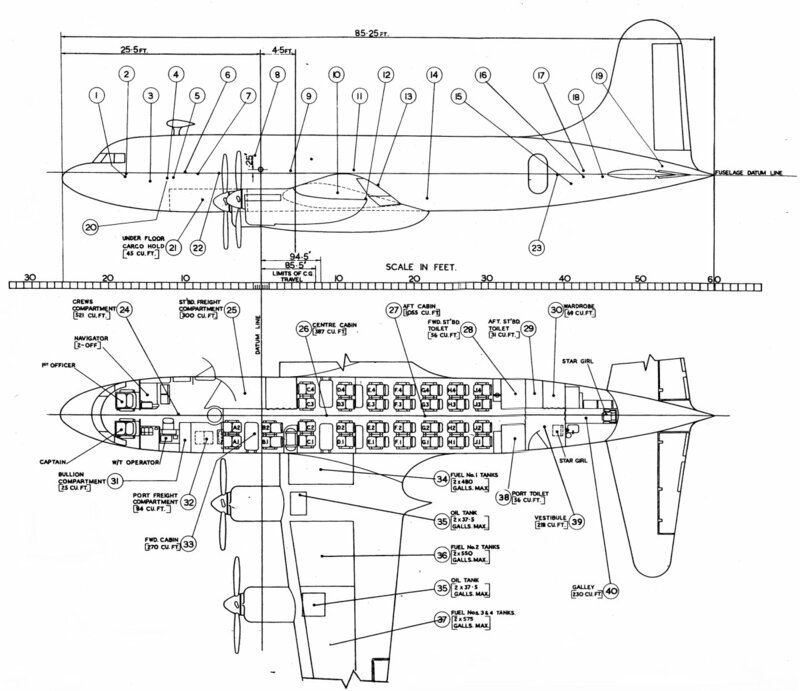 See the book for details of this incident, and the skill of the pilot in bringing the aircraft down safely. Avro York G-AHFB Star Stream taxies in with flags flying from the cockpit. 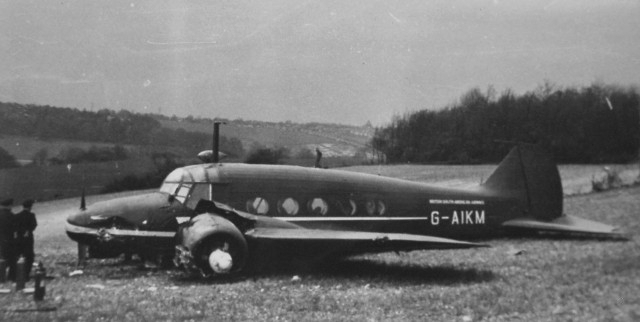 A sad end for Avro XIX G-AIKM Star Visitant after fuel problems approaching Luton in April 1949.